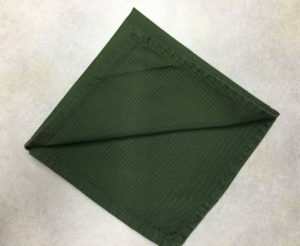 Liven up your holiday table with Christmas Tree Napkins at each place setting. 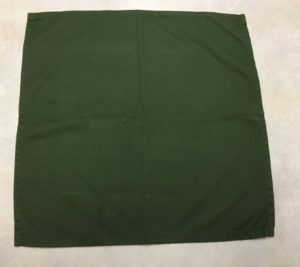 All you need are square cloth napkins. 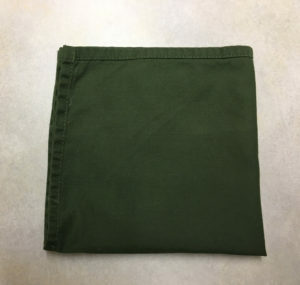 Green would be great, but really any color will look fabulous. 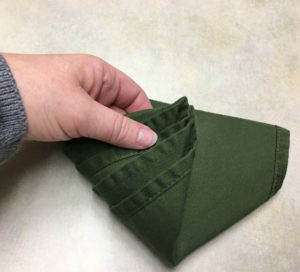 Step by Step folding tutorial below. 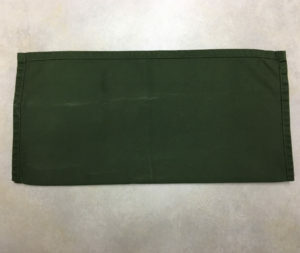 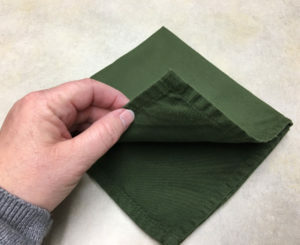 Lay your napkin out flat and smooth it out. 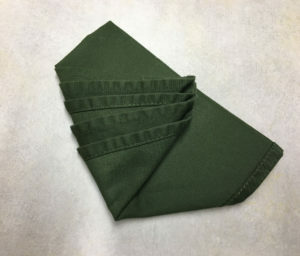 Smooth the folded napkin out. 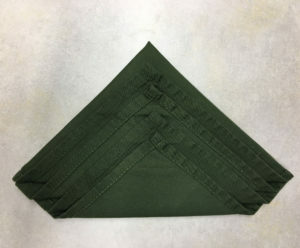 Turn the napkin around so the open edges are facing you in a diamond shape. 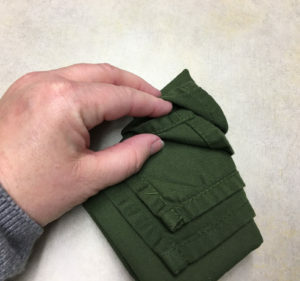 Stagger them a little bit apart. 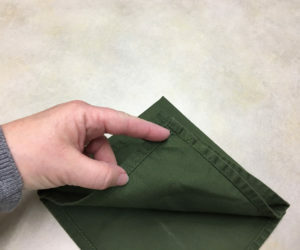 Smooth the napkin between folds. 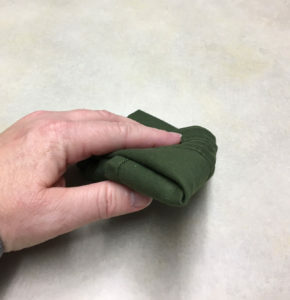 Continue folding layers until all are folded up. 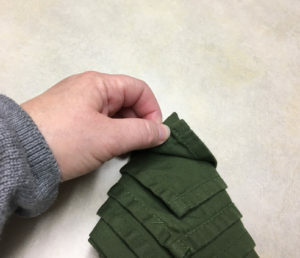 Keep folding in a staggered pattern. 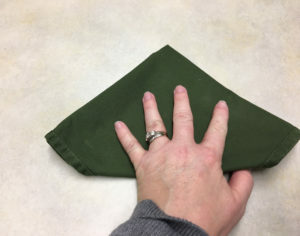 Carefully flip the napkin over. 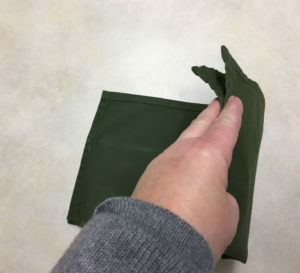 Be sure to hold it together so layers do not come apart. 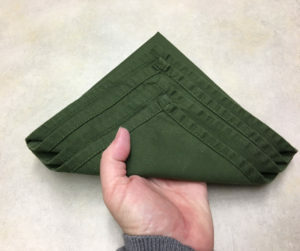 Fold the corners over to the opposite side. 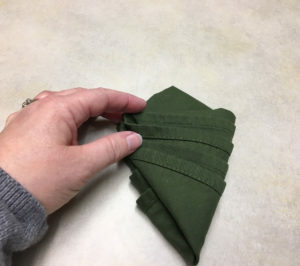 Fold the opposite corner over the other one. 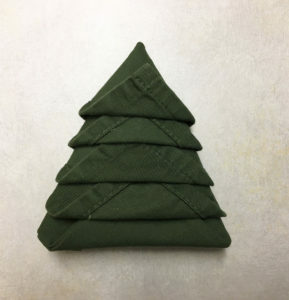 You will be left with a tree shaped napkin. 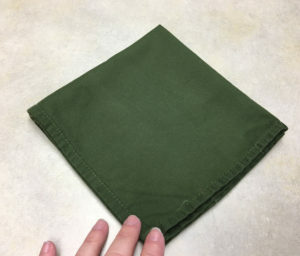 Carefully turn the napkin over again. 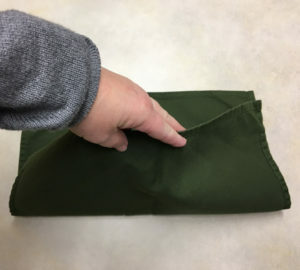 Carefully tuck the flaps under each other. 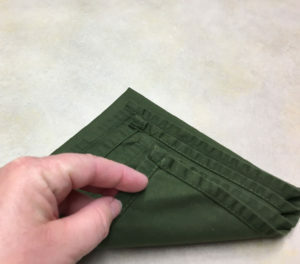 Continue until all flaps are folded up and tucked into each other. 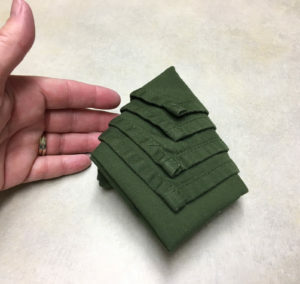 You will be left with a cute Christmas tree napkin. 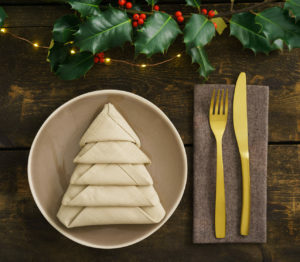 Placed on each setting, your table will look festive and fun!